ww2dbaseDeng Xihou was born in Huilong Village, Yingshan County, Sichuan Province, China. His mother passed away when he was eight years old, and he lost his father merely two years later. In 1906, at the age of 17, he bid farewell to his uncle who raised him and his tutor who Deng respected, and went on to Chengdu, Sichuan to join the revolution movement by enrolling in a military school. In 1909, he entered the military academy in Nanjing, China. In 1911, before he completed his studies in Nanjing, the Chinese revolutionary war broke out; Deng returned to Sichuan to join the local warlord's forces. He remained in the military, rising to divisional command by 1920. In Aug 1922, he attempted to eliminate two rival commanders in Sichuan; the attempt failed, and he was forced out of Sichuan by force. He fled to join the Beiyang forces in northern China, where he was given the command of the Beiyang 30th Division. In 1924, Beiyang forces invaded Sichuan, and Deng was named the province's governor ahead of the eventual conquest. 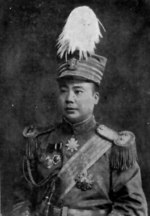 In the fall of 1926, he joined ranks with the Nationalist Party, and the forces under his command in Sichuan were named as the Nationalist 28th Corps; he was also given a position in the Nationalist government's military committee. He engaged Chinese communist forces in the 1930s and was met with a series of defeats. ww2dbaseThe Second Sino-Japanese War formally began in Jul 1937, plunging China into WW2. 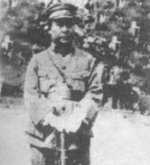 In Aug 1937, Deng was placed under the command of Liu Xiang as Liu's deputy of the 2nd Route Reserve Army. In Sep, the 2nd Route Reserve Army began marching east. Shortly after, he was named the commanding officer of the 7th War Area with headquarters in Xuchang County, Henan Province, China. His forces reached the city of Xi'an by Oct, gathered with other forces, and launched an offensive toward the east. In early Nov, his forces were surrounded by Japanese troops at Taiyuan in Shanxi Province, which would fall on 7 Nov. In Dec, his forces guarded strongpoints along the Tianjin-Pukou Railway. In the spring of 1938, as the commanding officer of the 22nd Army composed of Sichuan divisions, he participated in the Battle of Xuzhou. In mid-1938, he was recalled by Chiang Kaishek, who thought Deng, a native of Sichuan Province, could better serve in Sichuan where Chiang intended to relocate the Nationalist government. He spent the remainder of the war as the Military Affairs Commissioner for Sichuan and Xinjiang, organizing reserve units and coordinating logistics. ww2dbaseAfter the war, Deng Xihou remained in Sichuan as its provincial chairman. In the spring of 1948, during the renewed Chinese Civil War, Chiang Kaishek asked Deng to transfer 12,000 men to the central government for the war effort. Deng rejected the order, citing that the people of Sichuan were already over-burdened in the post-war reconstruction and his fear that such conscription might result in a popular uprising against the Nationalists. This rejected led to Chiang's order to relieve Deng of his provincial chairman position. In 1949, as the communists won the Chinese Civil War, he defected and allowed the city of Chengdu to fall under communist control without opposition. He briefly served as an officer in the communist military, then was named the deputy governor of Sichuan. In the mid-1950s, he attended the first three annual National People's Congress and served as a committee member of the defense ministry. He passed away in Chengdu in 1964. 22 Jun 1889 Deng Xihou was born in Sichuan Province, China. 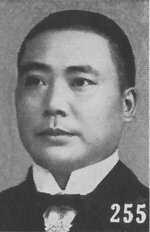 26 May 1924 Deng Xihou was named the provincial governor of Sichuan, China by the Beiyang warlord government. 5 Sep 1937 Deng Xihou gave a patriotic speech in Chengdu, Sichuan, China before leading troops to eastern China to engage the Japanese. 22 Oct 1937 Deng Xihou arrived in Xi'an, China. 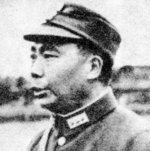 11 Feb 1938 Deng Xihou was recalled from the front lines for staff positions in Sichuan Province, China. 24 Dec 1949 Deng Xihou received an invitation via telegraph from the communists. 30 Dec 1949 Deng Xihou defected to the Chinese communists, allowing communist forces to occupy Chengdu, Sichuan Province, China without opposition. 30 Mar 1964 Deng Xihou passed away in Chengdu, Sichuan, China.